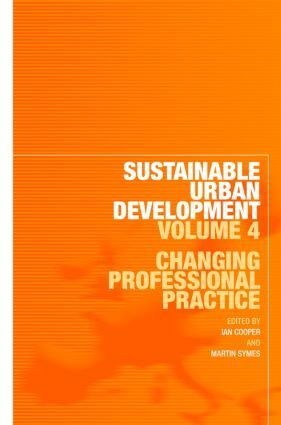 This new book explores how the professions responsible for enhancing the built environment's sustainability seek to deliver this new agenda, offering multi-perspective case studies and discussion to argue for a rethinking of the role of urban development professional. Showing how sustainability is rapidly becoming the norm for practitioners, the authors consider new types of professional knowledge, relationships between planning systems and property development, links between public and private sector organisations, ideas about long term responsibilities and new working practices for engaging with the public. Sustainable Construction and Policy Learning in Europe: Cascades, Networks or Fragmentation? Sustainable Urban Development and the Professions in the UK: Moving from a ‘Zero Sum Game’ Towards More Deliberative Practice?